Biomass availability in arid regions is challenging due to limited arable land and lack of freshwater. 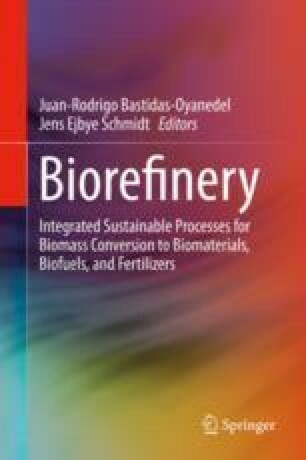 In this study, we focus on pyrolysis of two biomasses that are typically abundant agricultural biomasses in arid regions, focusing on understanding the reaction rates and Arrhenius kinetic parameters that describe the pyrolysis reactions of halophyte Salicornia bigelovii and date palm (Phoenix dactylifera) and co-pyrolysis biomass using thermogravimetric analysis under non-isothermal conditions. The mass loss data obtained from thermogravimetric analysis of S. bigelovii and date palm revealed the reaction rate peaked between 592 and 612 K for P. dactylifera leaves and 588 and 609 K for S. bigelovii at heating rates, 5, 10, and 15 K/min during the active pyrolysis phase. The activation energies for S. bigelovii and P. dactylifera leaves during this active pyrolysis phase were estimated using the Kissinger method as 147.6 and 164.7 kJ/mol, respectively, with pre-exponential factors of 3.13 × 109/min and 9.55 × 1010/min for the respective biomasses. Other isoconversional models such as the Flynn-Wall-Ozawa were used to determine these kinetic parameters during other phases of the pyrolysis reaction and gave similar results. Special thanks goes to ISEAS for supplying the biomasses needed for the project. This research was funded by Masdar Institute, Project 2BIONRG (12KAMA4) and BIOREF (13KAMA1), to help fulfil the vision of the late President Sheikh Zayed Bin Sultan Al Nahyan for sustainable development and empowerment of the United Arab Emirates and humankind.